“America will never be a socialist country.” This statement from Trump’s State of The Union speech stood out for me because many Democrats are now strongly promoting that failed ideology. 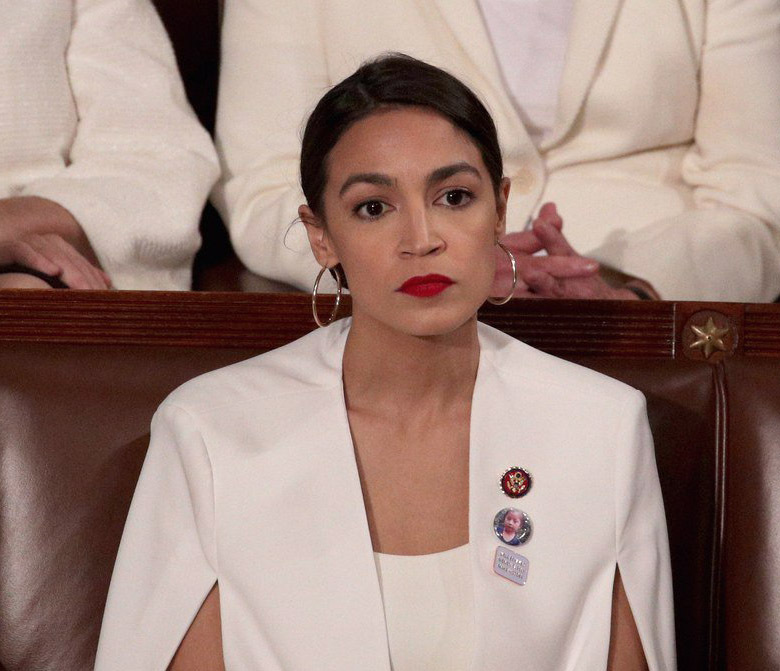 Alexandria Ocasio-Cortez looked like a sullen teenager denied daddy’s car keys when she heard it, Bernie Sanders sat on his hands and scowled. Radical Feminists from the Democrat party are turning their party ever-leftward while many are already unabashed promoters of socialism and ever bigger government. 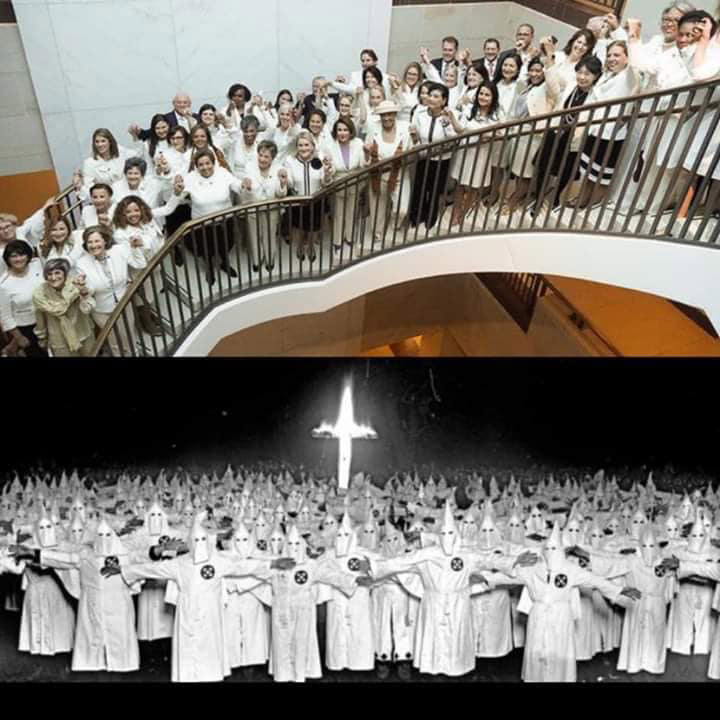 The female Democrats wore white for the occasion in a show of solidarity while also paying homage to white-wearing suffragettes from the past. The women in white remained seated and did not applaud when Trump denounced late-term abortion. To them, ‘a women’s right to choose’ is more important than a child’s life. In fact, the only time they stood and cheered was for themselves when Trump mentioned more women than ever before have elected to congress. Says a lot doesn’t it? In fact most of the night the women scowled at Trump, embodying the phrase “Nasty women”. The white outfits looked familiar in a disturbing way. 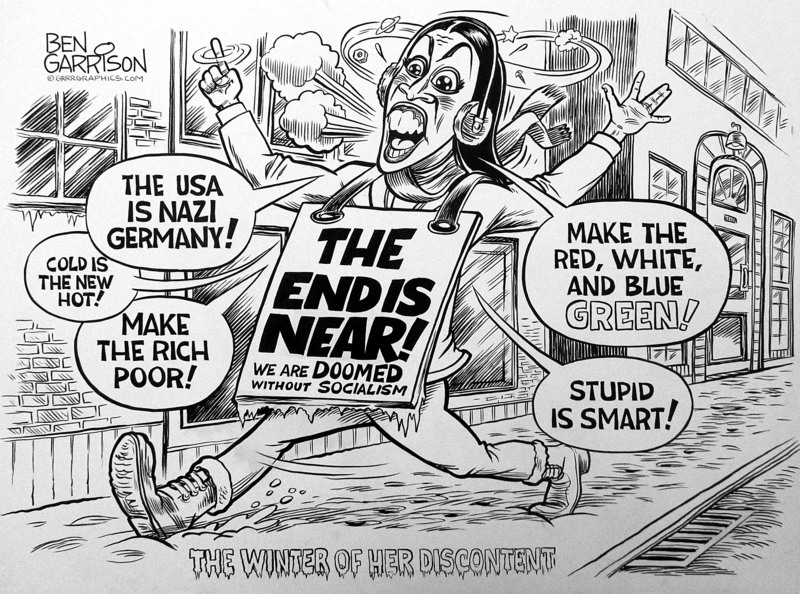 Ocasio-Cortez predicted the end of the world in a dozen years if climate change is not immediately addressed. She wants the usual carbon tax and the shutdown of fossil fuels. Trump stated America now led the world in oil production. 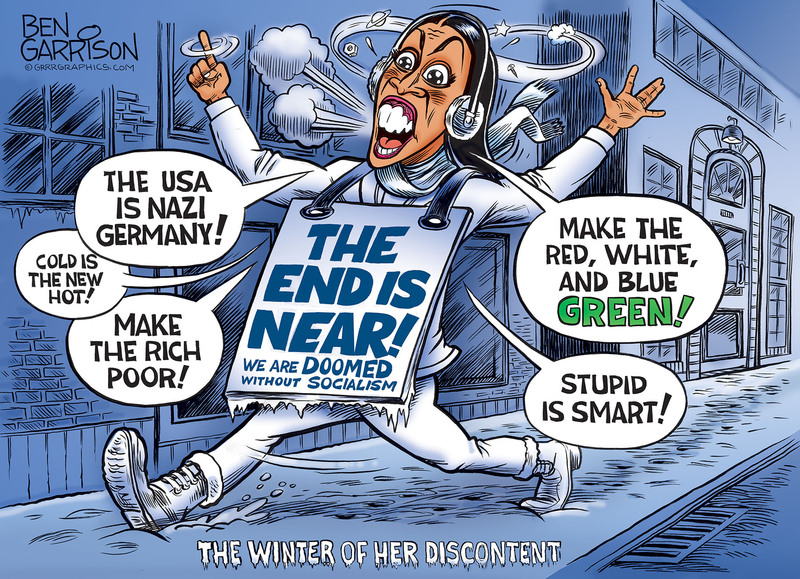 She wants that replaced by an instant ‘green revolution.’ She wants free college education for all; free Medicaid, reparations, guaranteed jobs and other stuff that would mean ridiculously and confiscatory tax rates. Her ideas would bring about economic collapse, but reason and logic are not slowing Cortez down in the slightest. She receives a lot of positive coverage from the Deep State fake stream media. She now has nearly 2 million twitter followers. Many blue-city voters love her siren song of socialism. Being elected to congress will not make her right, just dangerous. America will never turn to socialism; we were born free and will remain free.